A local problem, a global perspective and new strategies to tackle it. This is the story of Venessa Padayachee, a South African human rights advocate. Defending human rights is not an easy task. Defenders around the world have to deal with a hostile environment, sensitive issues and controversial cases. Sharing their experiences with peers can not only be heartwarming but also encouraging in their difficult pursuit of justice. Sometimes that sharing of experiences can be transformational. This is the story of Venessa Padayachee, a South African human rights advocate, and how a visit to Mexico shifted her mindset. Venessa Padayachee is committed to the defense of human rights. She is the Advocacy and Lobbying Manager of the National Institute for Crime Prevention and the Reintegration of Offenders (NICRO) in South Africa. She participated in a Learning Alliance under the ELLA Programme, a UK Aid funded south-south knowledge initiative that mixes research, exchange and learning to inspire evidence-based policies and practices. Together with FUNDAR, a Mexican think tank, Practical Action Consulting Latin America managed a Learning Alliance on Human Rights in which Venessa and peers from Latin America, Africa and Asia, discussed legal frameworks to protect and defend human rights; collective and ethnic minority rights; how to integrate a Rights Based Approach into budgeting and public policy; and the role of strategic litigation. This knowledge opened up new possibilities for Venessa. She enriched her view which helped her to think about her work more strategically. Venessa considers that what she learned gave her a more comprehensive overview of human rights and its framework at an international level, and how to use different advocacy strategies, mechanisms and tools: “It really empowered me to be more robust in discussions around what my strategies are”, said Venessa in a recent interview. The experience encouraged her to assist in leading a strategic litigation project on overcrowding at Pollsmoor, a maximum security prison in Cape Town where some of South Africa’s most dangerous criminals are held. It is very well-known that Pollsmoor’s capacity has been seriously exceeded and overcrowding not only generates the conditions for gross human rights violations but it also makes rehabilitation more difficult and increases violence rates as conflict breaks out easily. NICRO has brought the issue of overcrowding to parliament and to other forums over a number of years. Progress has been slow and the results insufficient. So they are now trying, led by the Sonke Gender Justice and the Detention Justice Forum, a strategic litigation approach, as other avenues have failed. The case is in the High Court of South Africa – Western Cape division. NICRO’s role was to provide an affidavit of the psychological effects of overcrowding and incarceration on the human psyche. Crime levels in both Mexico and South Africa are very high. One particular consequence is that families, of both the victim and the offender, often find themselves embroiled in extensive litigation and other complications. Both countries have made efforts to guarantee the human rights and fair processes for those involved. But where South Africa has faced challenges in harmonizing its domestic law and implementation with international and regional treaties, Mexico is a good example of domestic harmonization with international laws, which in turn has led to the enactment of further supportive laws and institutional reforms. Venessa was one of twelve participants from the Learning Alliance who travelled to Mexico in 2012 to see firsthand what she had been learning about online. 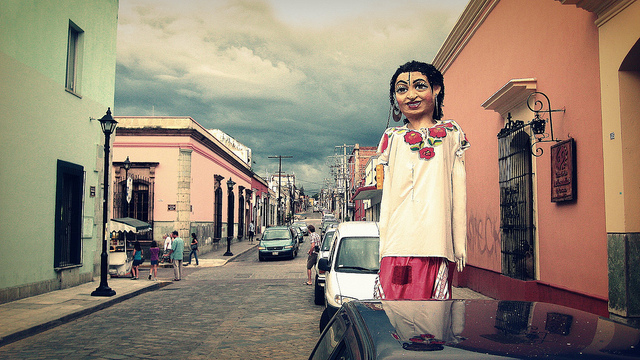 What she grasped from experiences in Mexico City and Oaxaca shifted her thinking. Going beyond traditional advocacy work, she started thinking about how to mobilize victims themselves. This was inspired by the fact that Mexico has a separate specific piece of legislation for victims, while in South Africa victim rights are scattered across different pieces of legislations: “…learning that other countries have this [a separate victim legislation] helped us in our thinking, so I forwarded it to the campaign people”, said Venessa. Venessa looked at this legislation and explored how victims are mobilized in Mexico (e.g. where girls went missing and their parents became advocates, taking up their cause) and she thought about how she could help NICRO’s replicate this model to the benefit of those they work with: “Our advocacy work has been done by social workers and me. And we didn’t realize that we actually have this huge beneficiary base; our beneficiaries themselves are the very people that can have a voice on these issues (…) The experience in Mexico has clearly shifted my mindset around how to broaden the scope of what we can do and the potential of people mobilization”. Four years after that visit to Mexico, Venessa says that for some cases and when conditions are favorable, she tries to encourage families and community leaders to organize themselves to have a voice on the issues that affect them. Currently she is working with a female leader to mobilize parents of juveniles who are in vulnerable situations. She has assigned a life coach to her, to help her work on how to go about her leadership. Discussions between Venessa and her peers in the Learning Alliance led to the conclusions that the strategies shared might be applicable in very different settings. This was the case with another issue: budgeting and human rights. One of these conclusions was that a right-based approach to budgeting and policy making can be crucial to help embed a human rights culture in the public administration and improve respect for social, economic and cultural rights. Venessa was able to see how this was put in practice in Mexico and when she came back to South Africa she was wondering about how to do it there. She came across the Budget and Expenditure Monitoring Forum where she is currently an active participant advocating on budget to tackle gender-based violence. The rights-based budget approach gave her new tools to be a better advocate in South Africa. Again, looking outside her context opens Venessa up to new approaches: “You get so caught up in the day to day, so I really enjoyed that experience (the visit to Mexico) to reflect and think that there is something I can go back and try. It’s funny, sometimes you have to go out of your own country to gain perspective”. Stories like Venessa’s and her role as human rights defender in South Africa show that south-south exchange can contribute to change when there are windows of opportunity, and where programmes work with committed, capable individuals able to deploy the knowledge they picked up when the opportunity develops. In the ELLA programme UK Aid bet on the benefits of south-south learning. Venessa’s story is just one case among the many registered by the programme. Knowledge exchange between regions of the ´global south’ can work, even where countries are very different, when sufficient attention is paid to identifying and understanding context. In this case, Venessa has used ELLA knowledge to broaden her view, for improving her organisation current impact strategies and to find new ways of working with beneficiaries. 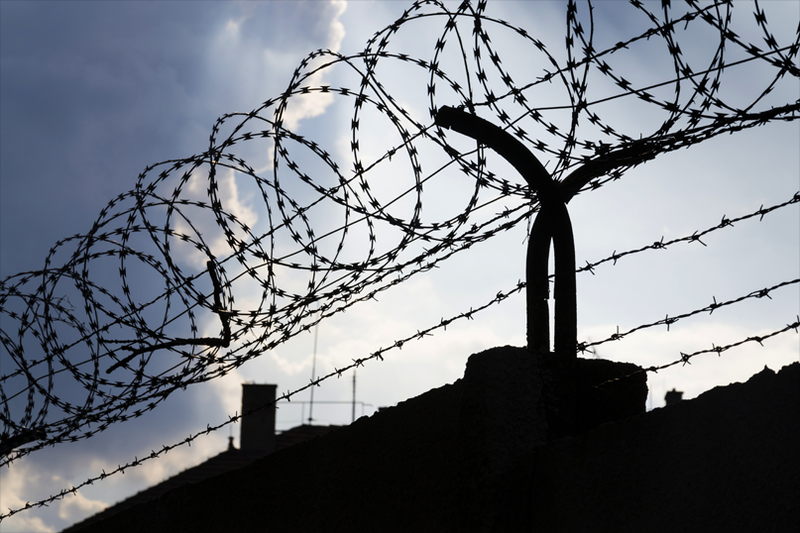 According to Venessa Padayachee, in late 2015, NICRO was asked to assess South Africa’s performance in relation to and compliance with international standards on inmate management, offender rehabilitation and inmate monitoring of conditions of incarceration. So they used the UN principle of treatment of prisoners and consulted from other documents, but they basically shown how the country was failing when it comes to meeting those standards . This article has been written by Alicia Quezada, Manager of Practical Action Consulting Latin America, and is based on interviews with Venessa Padayachee (8 March 2016) and programme reports, including a report on the ELLA Learning Alliance on Human Rights “Module 2: Promoting and guaranteeing Human Rights”, and the ELLA Guide “Human Rights in Latin America”.